We are privileged to enjoy the outstanding service of Cheryl Wedding and her highly professional team at Elite Rentals. They are by far … one of a kind! We transferred our properties to Elite Rentals some years ago, on the highest recommendation of other property landlords using their services. Immediately, we became the beneficiaries of Elite’s highly professional expertise and unbelievable attention to detail. The business relationship they forge between landlords, tenants and their pool of highly reliable and professional maintenance personnel is of the highest order and has the net effect of enhancing property port folio financial ‘bottom lines’ … we actually make more money! Their thorough screening of prospective tenants and on-going THOROUGH monitoring has resulted in ‘worry free’ property investment for us and the unbelievable record of NEVER having had any issues or problems with tenants! We have since recommended numerous property landlords to Elite Rentals and will continue to do so! 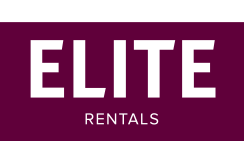 Elite Rentals is genuinely the ‘leading light’ of property management establishments … without a doubt!